Are you fascinate with Remote Control Airplane, buy replica of the famous World War-ll fighter YAK-12 Hobby Grade 1/10th scale Just for Rs. 45,000.00 Easy payment schemes available on selected credit cards. Soar through the clouds at high speeds, and perform amazing air acrobats with its long range 4 channel 2.4GHz transmitter! 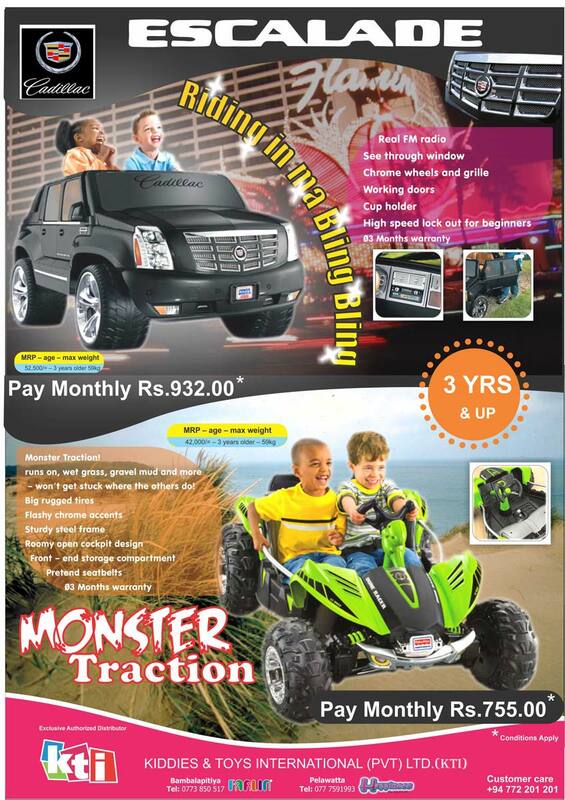 Are you fascinate with Remote Control cars and Monster Trucks, here is an offers and facilitations from Extreme Gadgets to buy your 100% genuine quality products. Not locally assembled, direct import of whole unit. Genuine spare parts with on time after sale services. 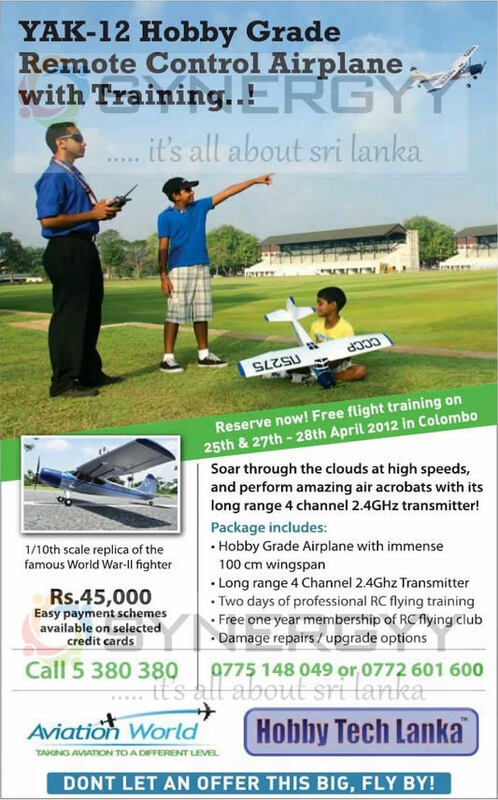 Visit Extreme Gadgets, # 67, Rodrigo Avenue, Galpotta Road, Nawala or call on 0773 609 373. The Supun Arcade announced an Annual Seasonal Mega Sales of the year 2012; enjoy Special discounts upto 50% off from 30th November to 31st December 2012. 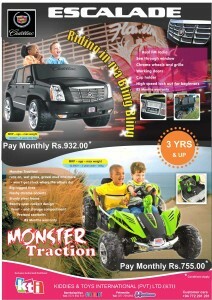 Visit today and enjoy the Christmas and New Year Sales today and Delight your children with new toys. The car is suited for the 3 years old kids to entertain with real FM Radio, See through Window, Chrome wheels and Grille, working Door, Cup Holder and High Speed lock out for beginners with 83 Month Warranty. The kid car suited for age of 3+ and runs on any where you want, its comes with Big rugged tries, Flashy Chrome accents, Sturdy steel frame, Roomy Open cockpit design, front end compartment pretend seat belts. With 83 Months warranty. It’s a time to plan your children future, educate them with technological improvement and lead them to achieve their aims in future. This is an awesome play toy for the Children and the kids.